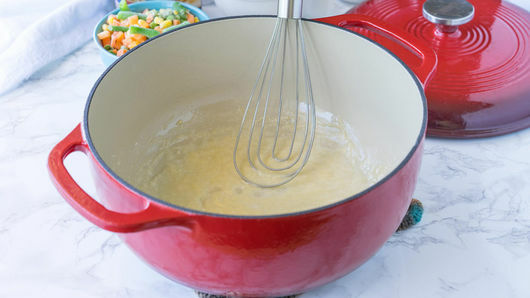 In 4-quart pot or Dutch oven, melt 4 tablespoons butter over medium heat; gradually beat in 4 tablespoons all-purpose flour with whisk until mixture is thick and smooth. 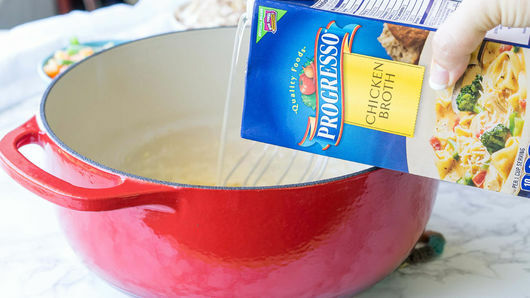 Gradually pour in 1 carton (32 oz) Progresso™ chicken broth and 1/2 cup milk, beating until smooth. Season with salt and pepper. Heat to boiling; reduce heat to medium-low. 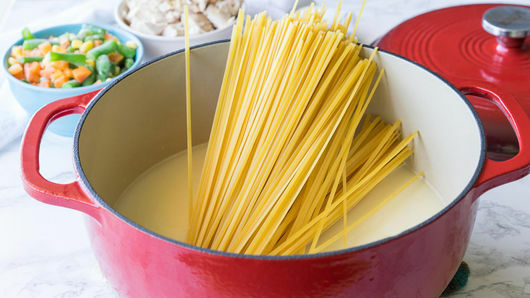 Add 3/4 lb uncooked fettuccine; cook about 20 minutes, stirring occasionally, until tender and majority of liquid is absorbed. 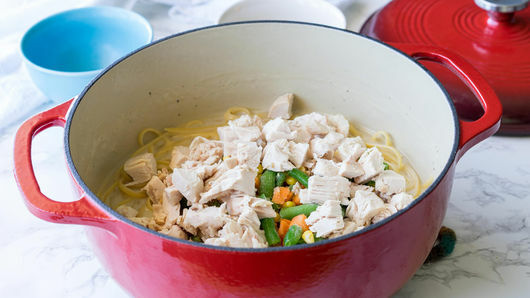 Stir in 2 cups shredded deli rotisserie chicken and 2 cups frozen mixed vegetables, thawed; cook until heated through. Season with salt and pepper; enjoy! Garnish with freshly chopped parsley, if desired. 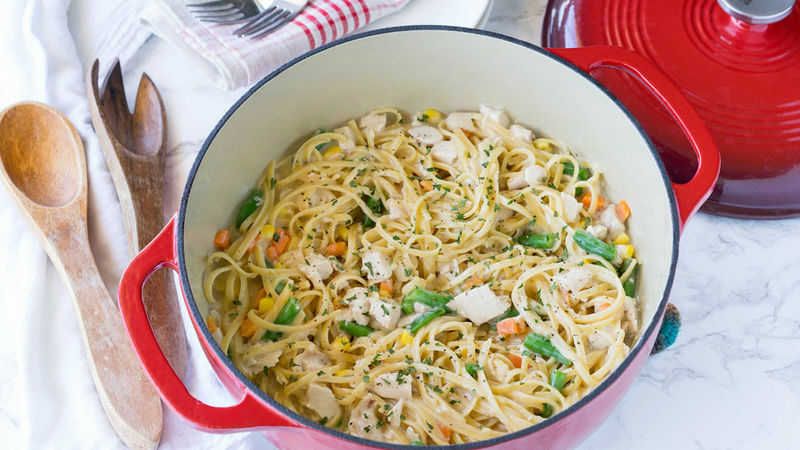 Give this an extra boost of flavor by stirring 1 teaspoon garlic powder and 1 teaspoon onion powder into broth mixture.